This page contains a guideline on Critical Stars. It includes an introduction to the Mechanic, Critical Damage, as well as Recommended Craft Essences and Skills to use to maximize them. We will be updating this as we go along. Guide to Critical Stars in Fate Grand Order. 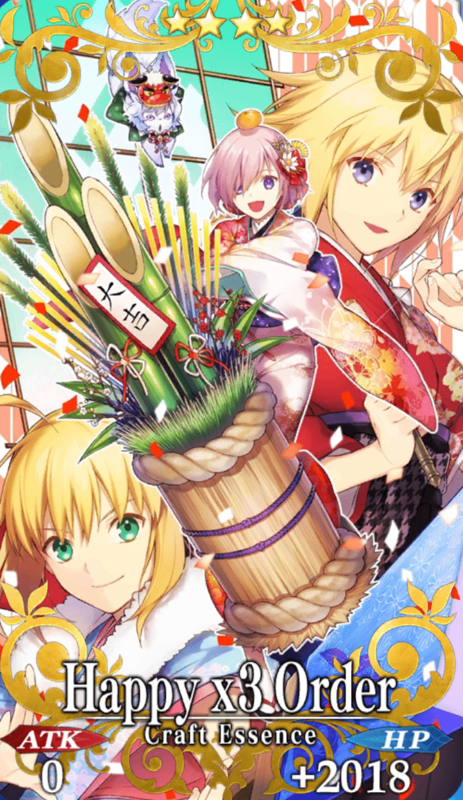 Looking for a beginner's guide and other guides to playing Fate Grand Order? Check out our guides here for an easy to understand explanation. 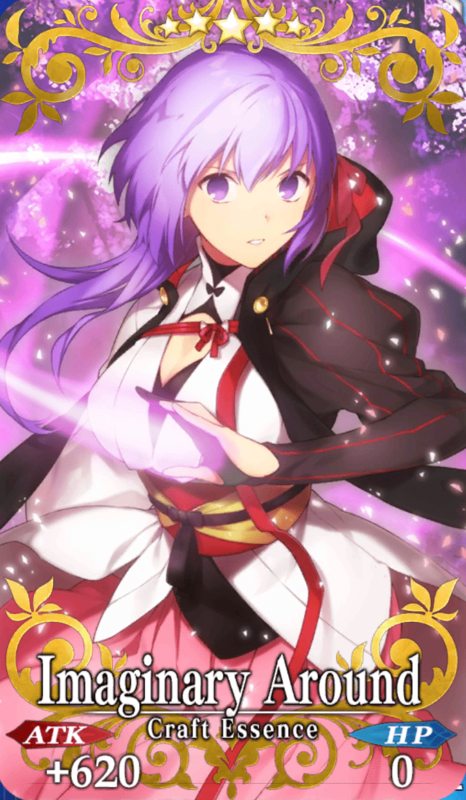 Critical Stars are part of the combat mechanic in Fate Grand Order in which players gather them up in order to unleash critical hits. 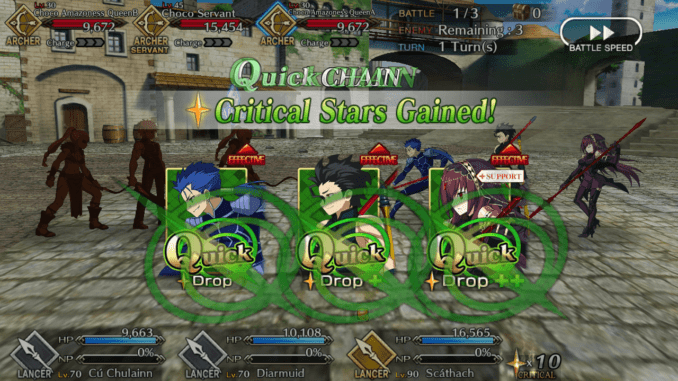 When players gather Critical Stars, they increase the probability of a particular servant inflicting a critical hit which can tantamount to almost double the regular damage. However, players can also use craft essences such as Holy Night Sign and Moonlight Goddess Fest to increase the damage of their critical hits. Both of the aforementioned craft essences improve critical hits and also two other aspects for Critical Stars. Holy Night Sign focuses on bolstering the effectiveness of Quick Cards whereas Moonlight Goddess Fest focuses on building on C. Star Drop rate. When dealing with Critical Stars, there are two different mechanics: C. Star Gathering and C. Star Drop Rate. 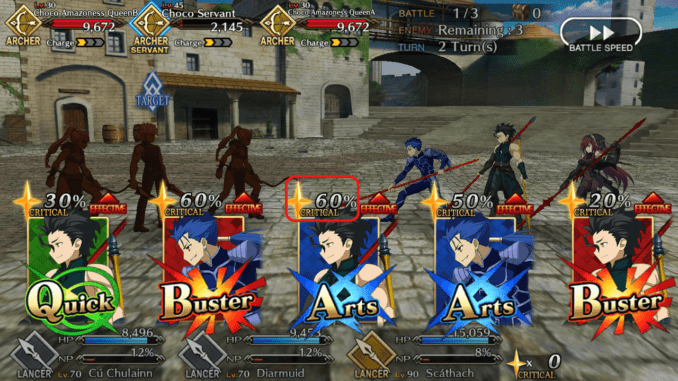 The C. Star Drop Rate is defined as “the amount of C. Stars that drop upon the servant attacking the enemy”. When it comes to this particular mechanic, there is another linked mechanic: the concept of Quick Cards. Quick Cards are the green command cards that appear on the command card hand upon beginning an attack. And when a player attacks with a Quick Card, there’s a caption below the card that shows “C. Star Drop”. Similar to the Buster and Arts cards, the farther down the combination the Quick Card is – the higher the amount of C. Stars dropped. However, there’s also a way on how to max out the amount of C. Stars dropped and that’s by forming Quick Chains. 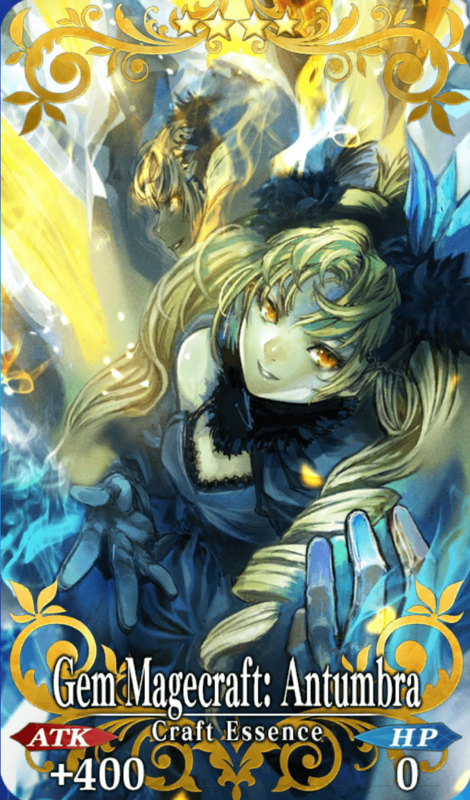 Quick Chains are a combination of three Quick Cards (regardless of which servants have formed it) and give an additional +10 C. Stars upon starting the turn. However, the additional 10 C. Stars don’t immediately take effect. After finishing the attack phase, players will be able to use all the C. Stars that dropped to enhance the next volley of attacks. While some drop low amounts of C. Stars, players can enhance them by giving them C. Star Drop Craft Essences. Critical Star Gathering (or C. Star Gathering for short) is when servants absorb the total pool of C. Stars gathered by all active servants. After gaining all the critical stars, the C. Star Gathering mechanic comes into play when the player begins their turn of attack. 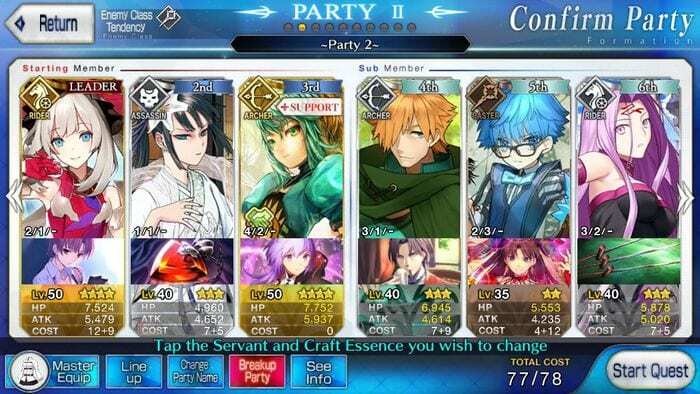 If you’ve noticed, there are some servants that have different rates for gathering C. Stars. Among all of them, the Rider class servants have the biggest gathering rate especially if they are more focused on Quick cards. The worst in absorption would be the Berserker class due to their preferred focus on Buster Card damage. Below are the average gathering rates for each servant class. However, players can enhance this particular aspect by equipping servants with C. Star Gathering Craft Essences such as Seal Designation Enforcer. After gathering enough, players can now deal Critical Damage. Critical Damage is influenced by two things: the amount of C. Stars gathered and Critical Strength. As previously explained above, the C. Stars gathered are the amount of stars gathered by a particular servant. However, the amount of stars gathered by that servant influence the probability of the servant inflicting a critical hit. The higher the gathering rate, the higher the chance the servant will have inflicting a critical hit. If wondering about the chances of inflicting a critical hit, the percentage will appear above the Command Card and will tell you by percentage. The highest percentage being 100%. Players can also use particular skills to increase the amount of C. Stars gathered in order to deal more damage. 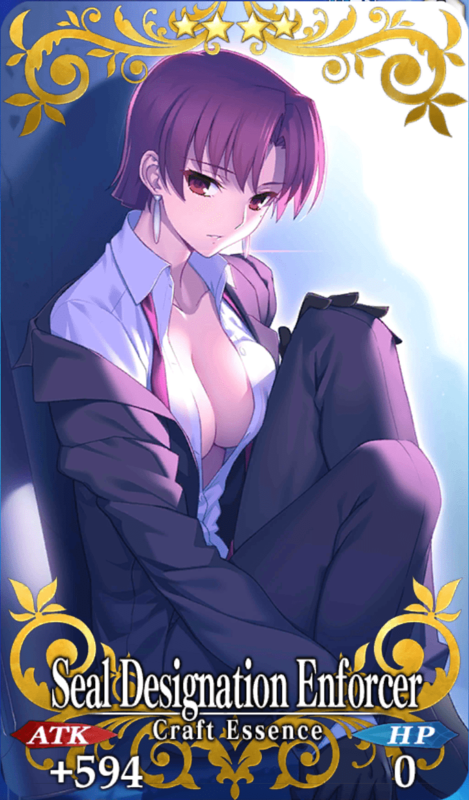 Such a servant would be Okita Souji who focuses on dealing critical damage unlike most Saber class servants. Craft essences can play a big role in dealing with Critical Stars. There are two families of craft essences that deal with this. One would be the Quick Craft Essence which general improves the performance of Quick Cards (damage-wise and indirectly, Critical Star-wise) and the next would be the C. Star Craft essences which have different focuses: Critical Damage, C. Star Drop, and C. Star Gathering. The four aforementioned craft essences represent each of the different aspects for C. Stars and Critical Hits. The first one, Imaginary Around, represents the Quick Card Craft Essence which increases the damage and over-all performance of Quick Cards. 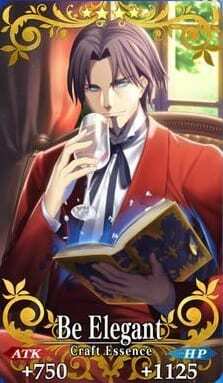 Be Elegant is meant for C. Star Drop; best for servants who heavily rely on their Quick Cards. Seal Designation Enforcer is for C. Star Gathering which works best with servants who rely on Critical Hits to win. Happy x3 Order represents the Starting C. Star mechanic which generates 3 crit stars per turn. Gem Magecraft: Antumbra however works for Critical Damage. When equipped, Marie Antoinette then will have a better chance of dealing critical hits towards enemies. Although requires support to work, some servants when paired with the appropriate Craft Essences, boosted Skills, and Classes with remarkable synergy can function exceptionally well as Teams that rely heavily on Critical damage. Roles can be split among certain functions, where some Servants shine to spread buffs for the team or gather C. Stars, while others take on a more offensive role by using the C. Stars for themselves. Hans Christian Andersen, whose Human Observation allows his fellow servants to gain a Critical Strength buff. Defense-wise, he is frail even when his Buffs are active. Even then, with the absence of other Craft Essences on the English release, his presence might thus have to be saved for latter updates. Hassan of the Cursed Arm because of his high C. Star absorption with Throw (Dagger), coupled with his self-sustaining Self-Modification which capitalizes on the C. Stars absorbed. He makes up for his lack of damage from gathering through his powerful NP which inflicts Death. Atalante, who can work independently with the Archer Passive Skill to deal fierce damage. Since Quick Card teams gain a substantial amount of C. Stars when landing a chain, might as well select servants who emphasize on dealing Critical damage to form the Quick Team roster. 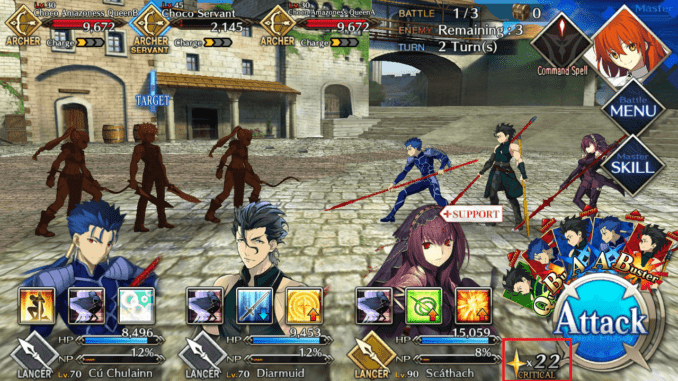 Could you add explanation of how critical multiply the amount of damage output, like how NP multiplied servant stat into NP damage. Um, nothing here actually explains _why_ you want to gather critical stars or what they do? It’s not that hard to figure out how to do it, but other than a counter during combat, I don’t see what they do or why you care to gather them. Hi Arthur, just revised. Hope it explains it better now. ??? ?